Which of you, girls, haven’t dreamed about perfect body shape and slim waist? If you have tried a lot of exercises to reduce tummy fat but haven’t yet succeeded, we hope that our article with 7 tips on how to get a slim waist will help you make your dream come true. The only thing we want you to keep in mind before you start reading this article is that making your waist thinner requires an integrated approach. If you stick only to one of the tips listed below, you won’t achieve the desired result, so it’s important to combine at least several of them. #1. Whatever changes you want to make in your body, you should start with the right diet. Your food should be healthy. Reconsider your diet and substitute harmful food with more fiber, both insoluble and soluble (can be found in barley, oats, citrus fruits, carrots, apples, nuts, wheat bran). Also, add more healthy fats like Omega-3 (tofu, walnuts, herring, salmon) that lower bad cholesterol. Don’t forget about fruits rich in vitamins but don’t eat those that contain a lot of sugar. Breakfast is the main meal of the day, so you want to pay close attention to what you eat in the morning. A glass of warm water before breakfast will improve your metabolism while well-balanced and filling meal will prevent the feeling of hunger during the day. The main rule of a right diet is small but frequent food intakes. 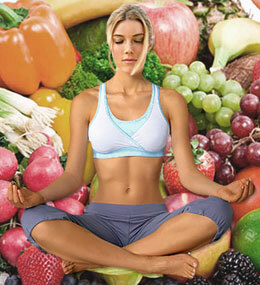 5-6 healthy meals a day will help you teach your organism to eat less. Exclude processed foods from your diet. They contain a lot of sugar and starch that slow down weight loss. Also, sodium and carbonated drinks can cause water retain and swell that isn’t good for your body. #2. To succeed in having healthy and balanced diet, it’s important to plan it. The thing is the modern pace of life is so fast we can decide to go on a diet and fail the next week because of lack of time to cook healthy meal.That’s why it’s recommended to prepare your food in advance. What you could do is cook healthy meals at the weekend and have healthy snacks all week long. Also, it’d be a good idea to do some shopping and acquire all food products that you can eat. #3. Waist shaping exercises is the second step to weight loss and thin waist. You can surf the Internet on your own to find the exercises you like or ask your fitness trainer for help. However, whatever you choose, remember that it’s important to take into account your fitness level. V-hold. Sit on the mat, rest your feet on the floor, and bend your knees. Raise your legs so they create V-shaped angle with your body and hold your hands paralleled to your legs. Hold this position for 8 breaths. Plank is one of the most popular exercises in fitness. It tones abdominal and waist-cinching corset muscles. Working position for this exercise is the following – you stand on your toes and elbows, toes are at the hip-width, elbows – at the shoulder width. Stand in this position for several seconds. Navel-to-spine pulse. Lie on the floor with your knees bent. Lift your shoulders and reach forward with your hands stretched. Make 20 pulse movements forward. Side crunch. Lie on the floor, hold your knees bent at 90° angle and your hands behind your head. Then, lower your knees to the left and crunch up. Repeat this exercise for 15-25 times and then do it again but on the right side. 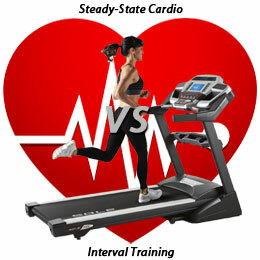 Cardio exercises can also help you shape your waist since they cause sweating which provides weight loss. If you have an opportunity to use a treadmill, do it. By changing the incline and pace of the treadmill, you will be able to increase/decrease the intensity of training sweating off more calories and developing your cardio system. If you don’t have one, start jogging in the mornings – it will also help you to get in a better shape. Don’t forget to take several seconds of rest after each exercise and repeat every exercise for at least several times to achieve better results. #4. We’d like to focus on the importance of vacuum exercises because unlike most others these ones are aimed at working muscles behind your belly. Stand still with a relaxed belly. Take a breath and squeeze your belly so you can see it becoming flat. Keep your belly in this position for 20 seconds. Try to breathe and keep belly in the same position. Repeat several times. Lie on the floor, bend your knees. Make sure every back bone lies on the floor, too. Try to push your belly down to your spine. A deep breath will help you achieve better results. In this variant, you should hold your breath for several seconds. If you’re not sure that you make this exercise properly, you can watch tutorials on Youtube – a lot of fitness coaches make videos where they show how to work out your belly muscles in a proper way. #5. Wear a waist trainer. It is a great choice for those who have only started to work on their body but want to feel confident from the first days. It encourages sweating and helps fight belly fat from the early workouts. A waist trainer for women is also great for everyday. You can wear it under your clothing to keep on sweating off calories and in order to look slim. #6. One more way to look slimmer is to choose the right clothing. For every body shape, it will be different. Some of you might feel comfortable in high-waisted jeans and skirts. And some will find baggy clothes (but not oversized) better because they can hide not very slim waist together with other defects of their body. Also, choose those very colors and patterns that make you visually slimmer. And don’t forget about high heels that can also make your whole look more delicate. #7. And the last thing, if you want to get a slim waist, you should believe in yourself. Do not get discouraged by failures, be persistent and make efforts to achieve your goal. Only one desire is not enough. You should be ready for changes – change your eating habits, lifestyle and work hard hard hard to make your dream come true. Slimming your waist isn’t exactly the easiest thing in world, that’s for sure, however, following these seven tips should kick you off on the right track to accomplish your goals. Stay consistent and be persistent and you will achieve your goals before you know it!